Michael Collins grew up in Runcorn, Cheshire. He studied for a BTEC at Halton College, Widnes, a degree in Fine Art at John Moores, Liverpool and then for 3 years at the Royal Academy Schools, London. Michael considers himself not so much a watercolour artist as an artist who uses watercolour, often as studies for acrylic or oil paintings. 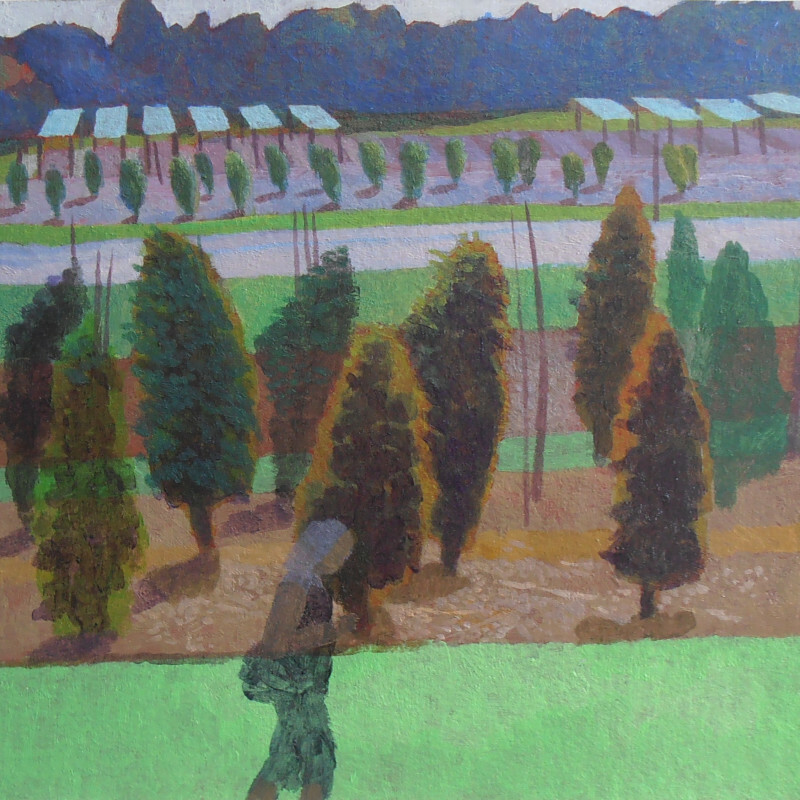 Recently he has combined gouache and watercolour to produce more finished pieces. Michael's work starts in front of the motif in the form of drawings and some photographs - he then continues to build the paintings in his studio. John Sell Cotman, early Italian painting from the 14th and 15th century and Bonnard are a few examples of the many sources that provide interest and inspiration in his work.